The Tucson, Arizona real estate market features a wide array of luxury homes that reflect all of the fine qualities of its world-class cities. Yet despite the degree of excellence that surrounds the region, from its economy to countless cultural and recreational attractions, the number of luxury home foreclosures in Tucson, Arizona has been rising. Prospective homebuyers are finding many opportunities to purchase fine properties at previously unheard of savings. Like all foreclosures in Tucson AZ, luxury foreclosure homes are the result of the homeowner being unable to meet their mortgage requirements and having their property repossessed by the lender. First-time buyers to experienced investors are all eligible to purchase an upscale property within some of the Tucson’s finest neighborhoods and communities, like Foothills and Dove Mountain homes, for a fraction of their actual value. 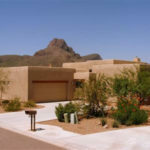 MyOwnArizona is your source for luxury home foreclosures in Tucson and has guided numerous Arizona luxury home buyers and investors to a rewarding purchase. Allow the team to help you identify the Tucson luxury properties that meet your needs and goals and best suit your way of life. As Tucson AZ foreclosure and short sale agents, the group can also recommend alternatives to luxury foreclosures – like luxury REO and luxury short sales – to buyers who are concerned with the challenges associated with luxury foreclosures. 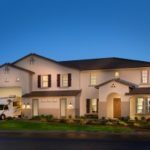 To learn more about Tucson luxury home foreclosures in Tucson, connect with the top real estate team of MyOwnArizona today. Our team has over 40 years experience in Tucson luxury foreclosures, we were handling luxury foreclosures in Tucson way before it was a publicly known word. « Tucson is #2 on 10 Best Cities to Find a Job!